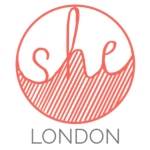 Fill out this form to be added to the SHE Choir London waiting list! We will be in touch every six months or so with updates. From time to time we may send out emails inviting singers of a particular part (top, middle, bottom), or we might invite the people towards the top of the list. We are unfortunately not able to say how long the wait will be but if you do decide you no longer want to be on the list please let us know so we can remove you. Which part(s) can you sing? SHE Choir London will use the information you provide on this form to be in touch with you about updates to the waiting list and occasionally to inform you about upcoming gigs and events (but only as part of a waiting list update). We will never pass your details on to anyone else. You can change your mind at any time by clicking the unsubscribe link in the footer of any email you receive from us, or by contacting us at london@shechoir.com. We will treat your information with respect. By clicking below, you agree that we may process your information in accordance with these terms.